We are dedicated to deliver when we promise with the highest quality and reliability. Together we've got over 35 years of management and hands-on experience in Biotech business from start-up to exit. Our primary aim is to help you succeed. We listen to your needs and find the best way to meet your expectation. 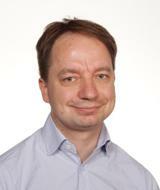 Juhani has worked over 15 years in the biotechnology business – last ten years as a start-up CEO or Operations Manager. He has been responsible for the day-to-day management of operations, fundraising and business development activities in his recent positions. He has also participated to basic research activities during his career and has published altogether five articles, one in Nature. 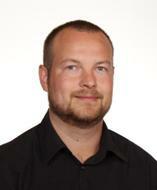 Juhani has been awarded by Venture Cup and Nordic Center of Excellence in Disease Genetics. Further information on his background can be found from his LinkedIn-profile. Jari Rautio has over 15 years of experience of life science tools development and commercialization as a principal investigator, VP of R&D and as a CEO. Rautio has carried out several product and service development projects and commercial product launches to the international markets. Rautio´s key areas of expertise include innovation development from concept to sales, business development of life science companies, fundraising and quality management. Further information on his background can be found from his LinkedIn-profile. Co-founder of FLX Discoveries Ltd.